Welcome to Kamon, Japanese family crest accessories store! Mainly, we are selling Samurai family creast (Japanese Kamon) Men's accessroies. And we are expected to sell Material-Data-For-Disign of Kamon. 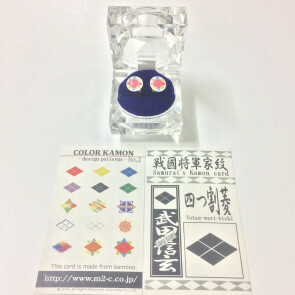 Actually, we have a patent of various colors Kamon Data. © 2017 Jmasa.net by M2 Create. All Rights Reserved.